Anti-Muslims riots scarred several towns in central Sri Lanka early this month, forcing the government to declare a state of emergency. 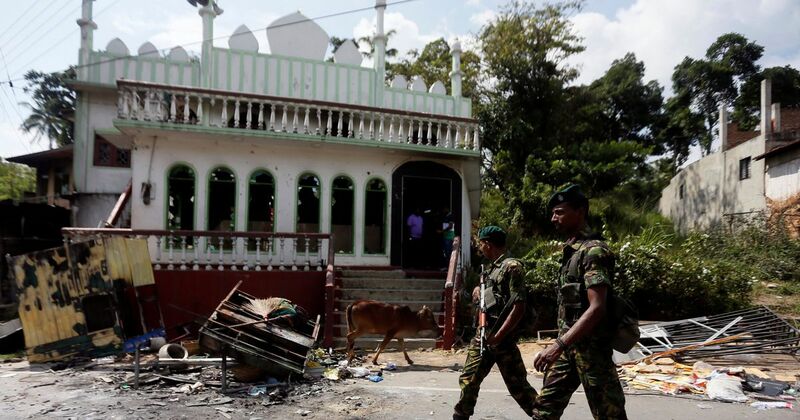 The anti-Muslim riots that rocked several towns in central Sri Lanka in the first week of March were swiftly put down by the army, deployed under a state of emergency clamped on March 6. But by then, scores of Muslim businesses had been burnt or heavily damaged and 24 mosques attacked, four of which were gutted, shattering the minority community’s faith in the government. 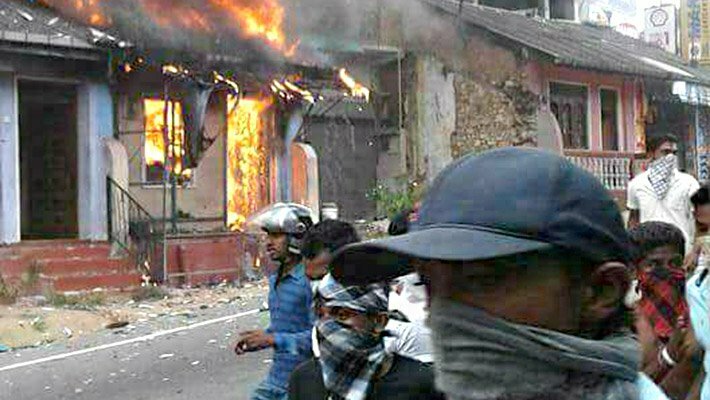 The police dragged their feet in the early stages but swung into action after the emergency was declared, three days after the violence started following the death of a 41-year-old Sinhalese Buddhist lorry driver at the hands of a group of Muslim thugs in Digana, a town near Kandy. Udaya Gammanpila, an opposition lawmaker, claimed that the majority Sinhalese Buddhists were enraged when they heard the police, instead of arresting those involved in the murderous assault of February 22, were “negotiating” with the Muslim community for “payment” to hush up the matter. In Sri Lanka, Muslims, mostly traders, are known for paying their way out of trouble. The police spokesman Ruwan Gunasekara admitted that the arrests did not take place immediately but “sometime between the assault and the death of the victim”. In effect, past animosity, latent anti-Muslim sentiment, hunger for loot and mayhem for its own sake combined to cause havoc reminiscent of the 1915 Sinhalese-Muslim riots. As in 1915, it was more a senseless destruction of property rather than killings. The riots claimed only three lives. The riots have only deepened the sense of alienation among Sri Lanka’s Muslims, who have endured periodic episodes of majoritarian violence, most brutally in Aluthgama on the Western coast in 2014. Muslims, who are 8% of the country’s population of 21 million, voted overwhelmingly to oust Mahinda Rajapaksa as president in January 2015. Now, they have turned against the regime of President Maithripala Sirisena and Prime Minister Ranil Wickremesinghe, especially the latter who did not even bother to visit the violence-scarred areas despite being in charge of law and order. The police’s handling of the driver’s murder was not the sole reason for this latest bout of anti-Muslim violence. It occurred in a historical, social, cultural, political and economic context that needs to be understood if the malaise is to be treated. The Sinhalese Buddhists have long harboured an anti-Muslim feeling, buying the myth that while their population growth is slowing, that of the minority community’s is increasing because they do not practise birth control, marry four times, and have a secret plan to make Sri Lanka a Muslim majority country. Fundamentalist Buddhist groups such as the Bodu Bala Sena and the Ravana Balaya, which promote the concept of “Sri Lanka for Sinhalese Buddhists”, exploit and propagate these myths. It was belief in this myth that led Sinhalese Buddhists of Ampara to destroy Muslim businesses following a rumour that Muslim eateries were mixing some pill in their food to make their Sinhalese patrons impotent. The growing influence of Wahabi Islam among Sri Lankan Muslims at the cost of Sufi Islam and the proliferation of mosques built with money from Saudi Arabia have resulted in the Muslims being seen as “not one of us”, but as “the other”. They are also seen as having strong connections with powerful and wealthy Islamic countries, which can one day enslave the Sinhalese. Indeed, the influence of Wahabi Islam has eroded the traditional cultural links between Muslims and other religious communities. In the past, Sri Lankan Muslim traders and artisans had specific roles to play in Buddhist religious festivities but these began to be frowned upon by Wahabi purists backed by new Saudi-funded Islamic institutions. The rift between the Sinhalese Buddhists and the Muslims, though, began much earlier, with the segregation of schools on the basis of language and religion. Tamils study in Tamil medium schools, the Sinhalese in Sinhalese medium schools and Muslims in Muslim schools to learn Islamic values. So, in a way, the seeds of communal separatism are planted in childhood. When the Sinhalese Buddhist majority faced Tamil separatism in the 1970s and 1980s, the Muslims were befriended and their interests were promoted to keep them away from the Tamils, with whom they had linguistic affinity. The Muslims were co-opted in governmental and political institutions, which enabled their rise as a wealthy and influential business community. The downside was it engendered Sinhalese Buddhist jealousy. The Muslims came to be seen as the “Jews of Sri Lanka”, clever, wealthy and influential pursuers of self-interest. The arrival of Wahabism only widened the gulf by creating a cultural and social divide. The Muslims became the quintessential “other”. Given the old Sinhalese-Tamil political divide, it was but natural that the Muslims should also seek their own political identity in a communalised political system. The Sri Lanka Muslim Congress was duly established in the late 1980s. Later, many Muslim parties centered around leaders and regions emerged. Led by ambitious, well-endowed leaders, the Muslim parties started branches everywhere and put up candidates in elections. In time, the Muslims, who previously supported multi-ethnic national parties, gravitated towards voting for Muslim parties. The net result was that no Sri Lankan was thinking “nationally” any more, but only as one belonging to this or that ethnic or religious group. 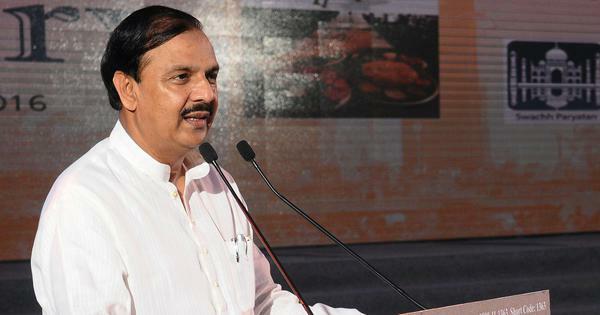 As former President Rajapaksa pointed out recently, in such a communally divided society, even a fight between two individuals could be turned into a communal one with mass participation, causing a law and order problem. Rajapaksa said it was time serious thought was given to strengthening multi-ethnic and multi-religious national parties and discouraging the proliferation of sectarian parties. PK Balachandran is a journalist based in Colombo.